Today was a big day...we learned Grace has a "full" bone marrow donor, the most compatible possible, and will have her transplant November 7, 2017. And instead of ecstatic joy, I am hurting. I think the reason why I am struggling is because it's amazing news- please don't get me wrong- but today has been my biggest nightmare for almost three years. It was the day that was never supposed to happen. I'm so very glad, because in reality this is what will save Grace's life, but inside I am still grieving the fact that she needs it. It makes the cancer real. And as I write all this I feel so much shame. I feel like I should be happy. I've tried so many times today and all I feel is more anger and fear. After hearing about the match Chad, Grace, and I signed all the documents that acknowledge that if the graft fails, the result would be fatal. If the graft vs. host disease (GVHD) is severe, it can be fatal. If she gets sick, potentially fatal. Pneumonia, potentially fatal. Organ damage, potentially fatal. It's not standard boilerplate text. They really mean it. We signed eight or nine paragraphs of what could go wrong, and the acknowledgement that the transplant can save Grace's life or take it. We don't know the survival statistics and we don't want to know. 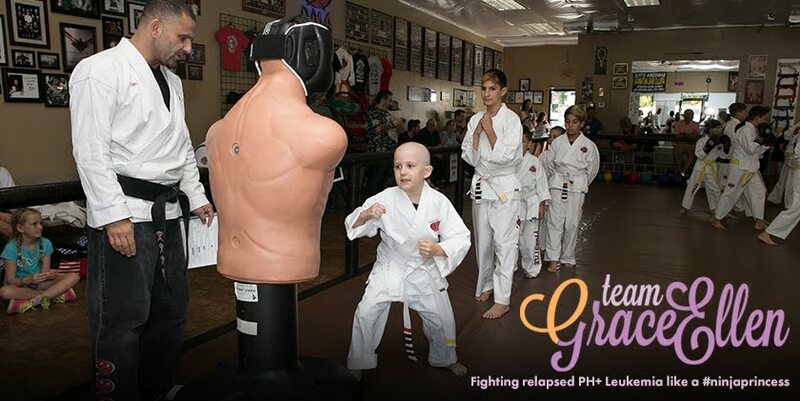 Grace is a fighter. We know that. 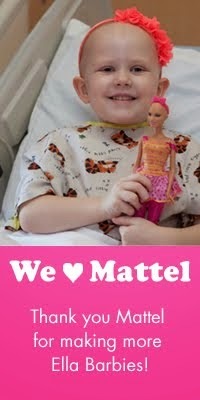 And the BMT is her best chance to save her life, and the full matched donor is her best change for a successful BMT. Still, despite all my efforts of happiness today, I felt anger instead. I wish I miraculously had peace instead of rage and terror. I feel so out of control. Peace does come, but I've had to fight for it. That's why I'm writing tonight. I'm seeking it out because frankly I'm desperate for it. But tomorrow morning I'll have to do it again. And maybe mid-morning, and afternoon, and evening and night, and probably in the middle of the night too. Lately I've not often been the winner of these fights. The Bible says that the peace of Christ, which transcends understanding, will guard our hearts and minds. I just never knew it would have to be a minute-to-minute fight to stay connected to him to get a taste of that peace. Even as I write this I don't feel peace, though I'm trying to with all my might. At least not the harp-playing-Kumbaya-peace. But I suppose it's the I-will-follow-you-to-the-cross-because-you-alone-have-the-words-of-life peace. Maybe that's what peace really is. Maybe the other is what we assume is peace, but it's really more happy feelings on happy days. Maybe "100 proof" peace can only be found in the storms of life, when it's totally his peace and nothing we provide. And I'm maxed out on all those right now. That's the truth of my life and pretending it away hasn't helped, nor has it healed my faith. I think when I'm more honest about my pain, that's when I start to heal. This very moment I feel less like a trapped animal. I happen to know Jesus likes the real me more than the "pretty faith" me. Because the pretty me is pretend. She doesn't exist. And the weight of supporting a pretend identity has been exhausting and full of failure and shame today. And with that honesty comes the knowledge that I am accepted and loved by God in my worst moments. That is the reason I can go on. I am frightened, but I am not alone. I am willing to face the Valley of the Shadow of Death, because he is with me. I feel his peace now. And tomorrow I will fight for it again. I've been there. It's OK to feel ugly. Cancer is a very ugly thing. Even when you've "done everything," sometimes you just have to think about the good days you and the patient *did* have. Melissa - you are one of the most real people I know. Grace gets her warrior ninja attitude from you! I am so desperately sorry I am not physically near you any more. But spiritually and blood of Jesus Christ - I’m right next to you in the gap. Your words are strong, honest, raw. I love you and your family! I only know personally two kids who had BMT, but both were 10+ years ago and both kids are doing really well. I pray that Grace has at least as good a recovery! ❤. You are amazing Melissa. Not sure at all you could remain at peace in this, that facade would have to be fake. Seems like attempting that would be exhausting as you say. I am praying that you do find comfort and the honesty part you describe seems a better way. I'm not offering advice, I wish I could but you are way ahead of me. So Im sending heartfelt prayers for you to continue on in your battle. You may not feel it at the moment, but you are amazing. God Bless you. Jesus already won the fight for you. John 16:33 I have told you these things so that in me you may have peace in this world you will have trouble but take heart I have overcome the world! Good for you for vomiting this out, sweet girl. I wait with you. I am not on FB any longer so have been coming here for updates. Today I sending prayers of peace to your sad and devastated mothers heart. I am angry for you. Your family. For Grace. I remember listening to you speak last year at the ALS dinner and my heart was full of joy that you all were finding your way to some semblance of normalcy. As a cancer mom, I can relate to some of your feelings but right now, in these moments of fear and anger, I can only help carry some of your heavy load, by praying and sending love and light your way. I don’t know you personally but have seen you and your family at cancer events. My daughter is coming up on her one year OT and it has been draining . I can not imagine what you are going through and quite honestly you are doing one hell of a job. Know that I am praying for you, Grace and all of your family. I have lots of faith in the BMT being a complete success and this chapter forever closing. Know that there is a community of moms that know how you feel. Tonight I will be praying for that peace and tranquility to stay with you for many many days.